The Law of Attraction says you create your own reality. But have you ever wondered how to actually do that? Manifesting from the Inside Out with the Law of Attraction has the answer. 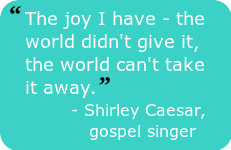 It teaches you HOW to create your own reality – a reality you truly desire! 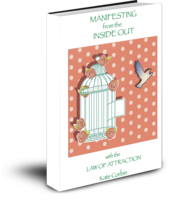 Manifesting from the Inside Out contains the Inside Out approach to a life of happiness, health, prosperity, love, true freedom and full empowerment. It contains the key to your treasure chest within. Every single thing you experience in your life – the wanted, the unwanted, the health, the illness, the wealth, the poverty – is a reflection of what’s going on inside you! From the Outside In perspective of life, you view external conditions as the cause of your feelings and experiences. You give your power away – to other people and circumstances. You respond to and are affected by what you experience “out there.” You vibrate lack, powerlessness and disappointment – and that’s what comes back to you. From the Inside Out perspective of life, your focus shifts to what’s happening inside yourself – to what you’re thinking and feeling. You consciously create your life in accord with your thoughts and feelings. You vibrate love, joy and confidence – and, just as certainly, that’s what comes back to you. you realize that success is not the key to happiness – happiness is the key to success. you shift from I’ll believe it when I see it to I’ll see it when I believe it. you awaken to Who You Really Are and the infinite power that lies within YOU. you realize that happiness – and everything else – is an Inside job. 21 fun-to-read chapters filled with real-life experiences and anecdotes to inspire you to create your life from the Inside Out. 20 transformational processes to jumpstart your understanding and application of the Inside Out approach to life. 11 guidelines for reclaiming your inner power to transform illness into paradise health, lack and limitation into ever-flowing abundance, and painful relationships into relationship bliss. THE OUTSIDE TAKES CARE OF ITSELF!